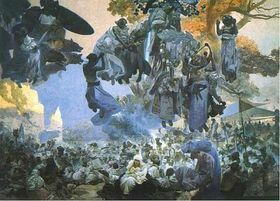 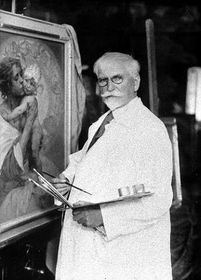 Mucha spent many years working on what he considered his life's fine art masterpiece, The Slav Epic, a series of twenty huge paintings depicting the history of the Czech and the Slavic people in general, bestowed to the city of Prague in 1928. 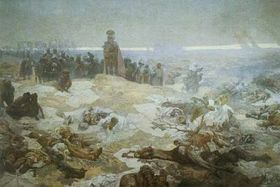 He had dreamt of completing a series such as this, a celebration of Slavic history, since he was young. 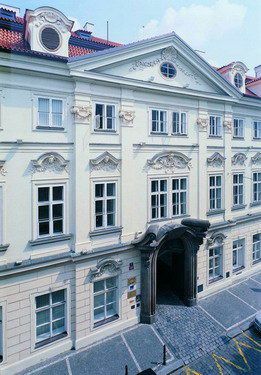 Since 1963 the series has been on display in the chateau in the South Moravian town of Moravský Krumlov. 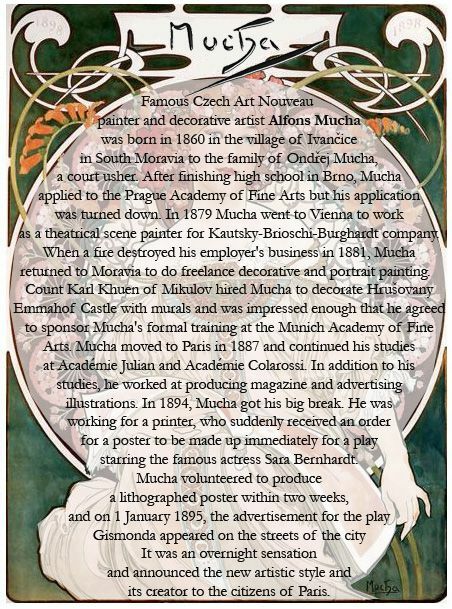 Mucha left his masterpiece of 20 canvases to the City of Prague – but on the condition that an appropriate space be built for it. 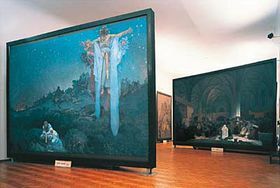 This has not happened to date and now the city would like to remove the work from the chateau in Moravský Krumlov where it is currently housed and install it in Prague’s Veletržní Palác. 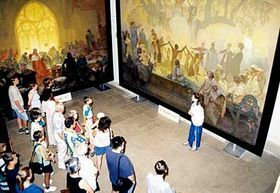 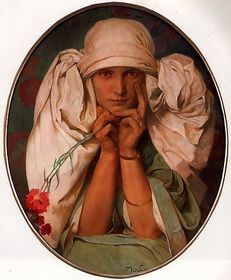 The Mucha family, however, is opposed, and is filing for an injunction against the city to keep the paintings where they are until they are given a permanent residence. 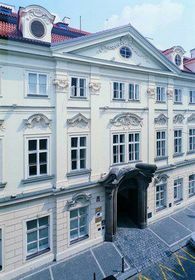 The world´s first Mucha Museum, dedicated to the life and work of the world-acclaimed Czech Art Nouveau artist Alfons Mucha (1860-1939), is housed in the Baroque Kaunický Palace in the very heart of Prague. 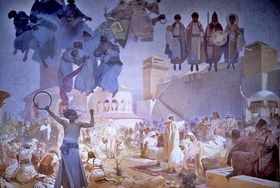 The exhibiton gives an extensive overview of the artistic work of Alfons Mucha. 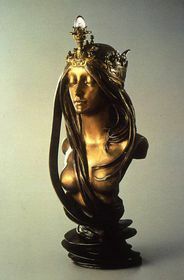 Special attention is paid to his time in Paris (1887-1904), internationally the most celebrated period of his work. 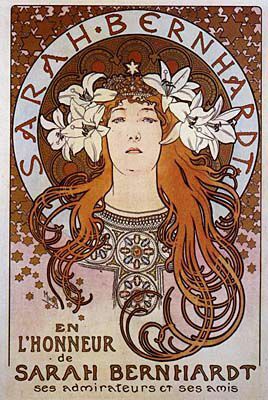 A set of posters from this period is on show, including the most important made for Sarah Bernhardt. 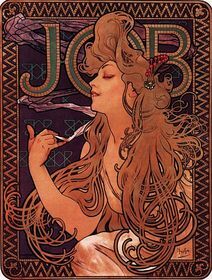 A set of his characteristic decorative panels and a number of examples from Documents Décoratifs (1902) give an idea of Mucha´s conception of Art Nouveau. Pages from his Parisian sketchbooks, never exhibited before, can also be seen. 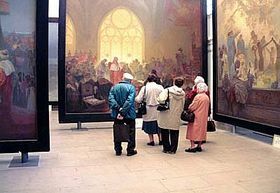 Other decorative objects and three dimensional works including examples of decorated books can be found in the show cases. 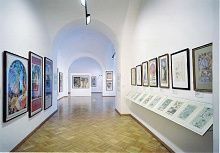 The work he created after his return to Czechoslovakia (1910-1939) forms a special group, consisting of posters, drawings and oil paintings. At the end of the exhibition we can see a suggestion of what Mucha´s studio in Paris must have looked like, with some of the original furniture, photos of his family and a set of photographs taken in the studio.